Capable of jump-starting your car, the JumPack really packs a punch – but how does it fare with smaller devices? 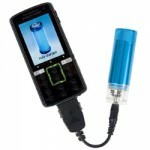 All of us use battery-powered devices on a daily basis, but there’s just never enough power to go around. Enter the external battery pack, capable of getting our phones, tablets and smart watches through the day. And while USB is incredibly versatile, there are some jobs it’s just not up to. 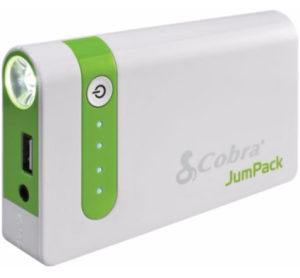 Cobra Electronics have an unconventional solution for this: the JumPack, an all-in-one battery pack useful for charging your devices on the go and, in emergencies, capable of giving your car some new lease of life. Just connect the wires, turn on the ignition and you’ve successfully jump-started your car. In theory this is a great get-around for having to wait for breakdown assistance at the side of the motorway, or simply an antidote to the annoyance of requiring a second car to jump-start a dead battery. But is it a great idea or a gimmick? In the absence of a car in need of jump-starting, I started by showing the JumPack to some engineering friends. Like me, the camping and outdoors types were all ears, but they did express some concerns about the difference in power requirements. After all, jump-starting a car is pretty heavy duty in comparison with charging your smartphone. Short of opening up the JumPack and examining its interiors, there’s no decent test of its reliability and durability in separating the circuitry and components of the car and USB adaptors, or the capacitors that make these different outputs possible. And while it’s very unlikely that the battery pack is going to accidentally put 400A of current through your smartphone, you might just decide to use it for one purpose and not the other. 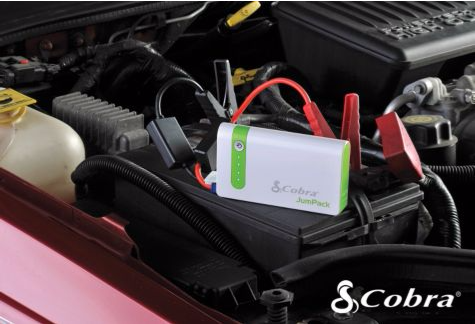 As well as jump leads with crocodile clips, Cobra does pack some nice accessories for all sorts of travelling situations including a mains adaptor convertible for US, UK and most EU plugs, as well as one for your car’s lighter socket. There’s also a very bright flashlight with different modes ranging from constantly on to various flash speeds, accessible by holding down the power button. 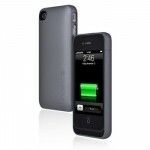 As a battery pack for portable electronics devices, the JumPack is rather less impressive. The 7,500mAh battery contains significantly less juice than many similar products that offer between 10,000mAh and 24,000mAh for a much lower price and with the added bonus of several USB ports, allowing you to charge several devices simultaneously. This capacity was just about enough to fully charge my 3,220mhA Nexus 6 twice from 10–15%. The USB output manages 2.1A of current as a quick-charge function if your device (and your cable) can take advantage of this – currently only USB 3.1 is rated for this amount of current. My Nexus 6 again came up trumps, however, as its Qualcomm Snapdragon can take 3A over the supplied charger and cable for an even quicker top-up, so charging was inevitably faster when plugged into the wall. This is a new standard, so it’s possible future versions of the JumPack will see an upgrade to the adaptor (after all, the 400A peak current on the jump-start side means the capability is already there). 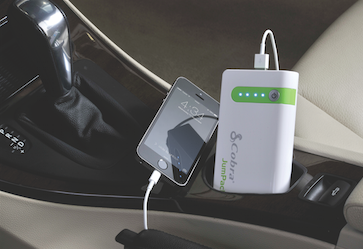 The best way to think about the JumPack – and indeed the only reason to buy it – is as a jump-starter for the car with the occasional device charge, and not the other way around. 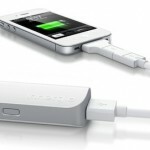 The price and the features can’t justify using it primarily as a USB battery pack. That said, car and road-trip enthusiasts will find the power and simplicity a very attractive combination, and the perfect companion in the icy cold. 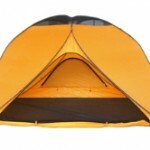 The Cobra JumPack is available for £79.99 at Argos (best deal I could find!) 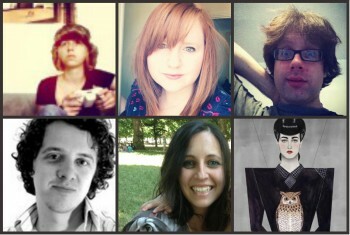 and elsewhere.